I have to give you all credit for this one, honestly if it wasn't for so many of you who constantly inspire me through this blogosphere world I wouldn't be so inspired on a daily basis, I literally have a list that who knows if it'll ever end. So many of you motivate me and inspire me to try some if not most of my DIY's shared here and hopefully I can inspire a few of you along the way too. 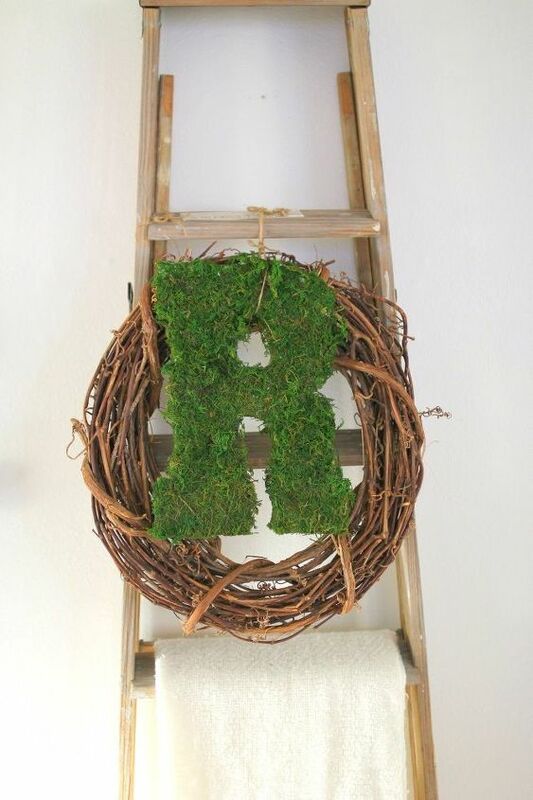 But before I move on to showing you the details of how to make this Spring inspired monogram, I'm so excited to share with you all that this year, myself, amongst other talented creatives, were chosen as Ambassadors for National DIY Day which is right around the corner, April 2nd to be exact. Best part its all for a great cause, as ambassadors for this special day we're supporting AdoptAClassroom.org and their mission to give teachers a hand by providing much-needed classroom materials that also provides the assistance for them to continue helping our kids grow. Isn't this awesome, just another excuse to get creative and give back, all in one. As a mom who's been involved from PTA president to treasurer and a constant volunteer at my kids schools and now as a National DIY DAY ambassador I am proud to support AdoptAClassroom.org and their mission to give teachers a hand by providing much-needed classroom materials so that their students can learn and succeed. 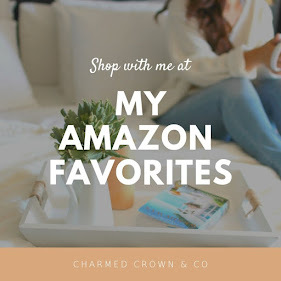 National DIY DAY and Charmed Crown Blog are committed to supporting classrooms and providing tools for students and teachers to enhance the creative learning experience. Okay, with that said, now let's move on to even more exciting stuff! 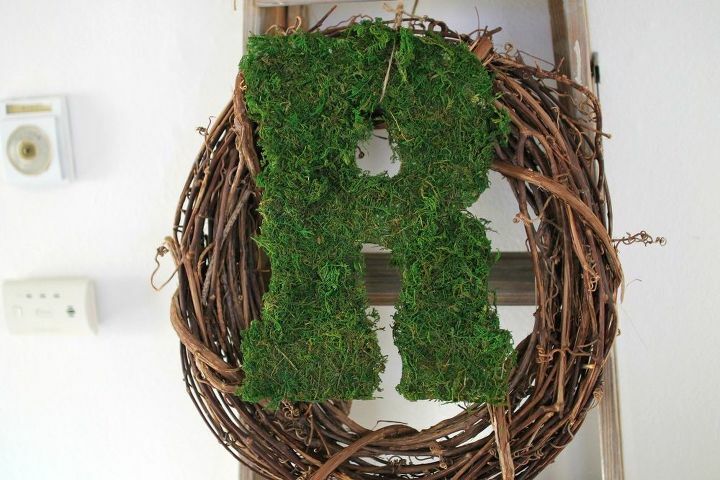 I thought creating this easy and inspired moss covered monogram would be fun to add to our home for some Spring pizzazz! 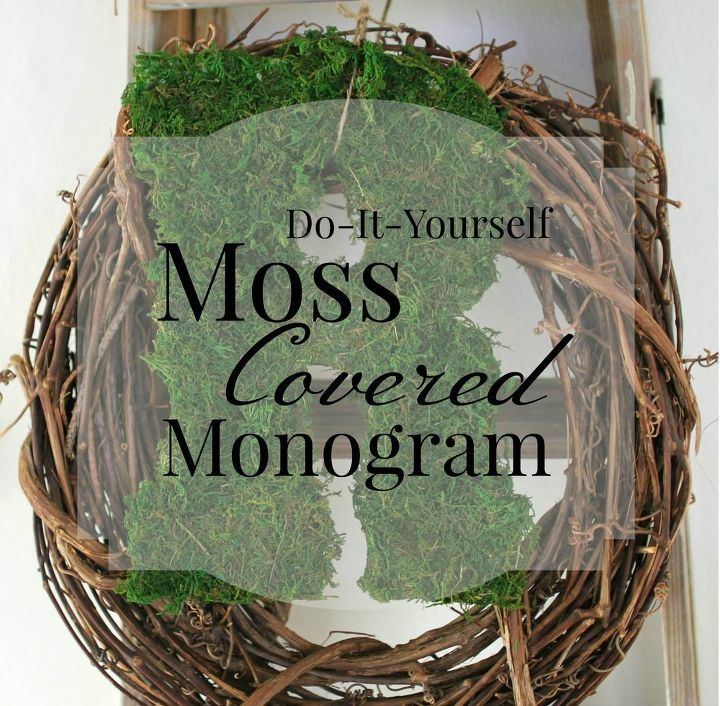 All you need is your own monogram which you can find at any craft store even at Target. I basically used one that we've had for quite a while now and wasn't to fond of so I thought I'd cover it up with hopes of me liking it more this way. Which I definitely do now. You'll also need some moss which you can choose any type you want, but I found that this one here was already layed out and easy to use. You won't use it all, which is nice because I like to have extra for other projects. It was easy to apply and less messy than most but be warned, this is a messy project, so make room and prep your work area. Simply lay out your monogram facing the opposite of the right side (which in this picture, I did not do that) so make sure to flip it the other way that is not shown here and trace around it with a sharpie, but extend the tracing about an inch or so to give yourself that extra moss that you'll wrap around into the back of the monogram. Once you've cut the moss, you can use any kind of glue, I used this one and some of this one,but it could also be just as easy with a hot glue gun, which I just didn't have around at the time which almost always makes your DIY life a lot easier. To secure it in place I added a few staples in the back but you don't have to do this. This is just me being diligent and extra cautious. You're end result, will be sticky, so I'd definitely suggest going with the hot glue gun, even those of us who've been doing this a long time, go bonkers and mess up. Honestly I was working with what I had in hand not bothering to even look for mine, so here's a tip; always know where your hot glue gun is at all times! I love how easy and fun this project was and how it looks with my twig wreath and ladder. That pop of green just says, Spring! 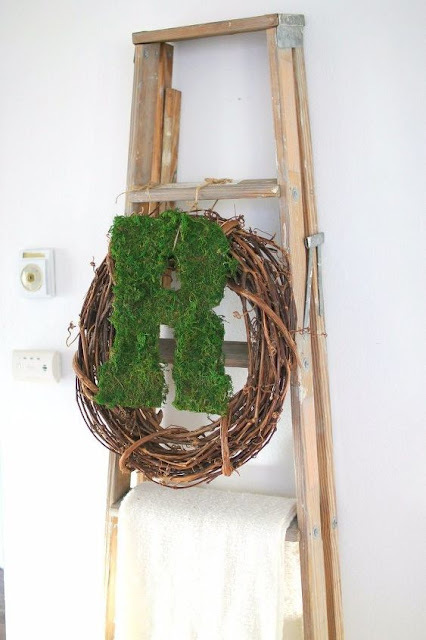 There's so many ways to display and play around with the moss covered monogram letters, so just have fun! See you guys back here soon because we're not done with National DIY Day blog posts just yet! And for my latest projects and updates on life pop in on my facebook or Instagram and follow along! Don't forget to mark your calendars for April 2nd, 2017 – National (ahem, INTERnational) DIY Day! I and several other crafty-amazing bloggers have partnered with Craft Box Girls to bring you some of the best DIY and craft projects on the internet. Click over every day from now until National DIY Day on April 2nd to see what all of the DIY and craft bloggers have to share with you!